How Can I Create a Proposal After I've Already Created a Project? Want to send a Proposal or Contract for a Project you've already started? 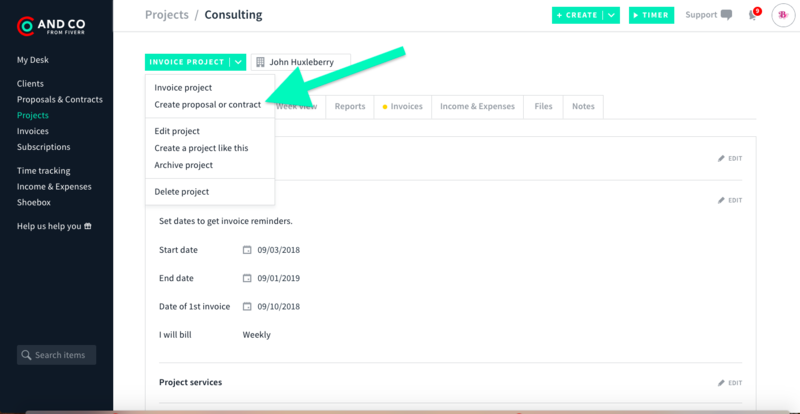 While starting with a Proposal or Contract will automatically generate a Project, you can also work backwards and create a Proposal for an already existing Project. On the web, head to Projects and then the Project you'd like to create a Proposal/Contract for. 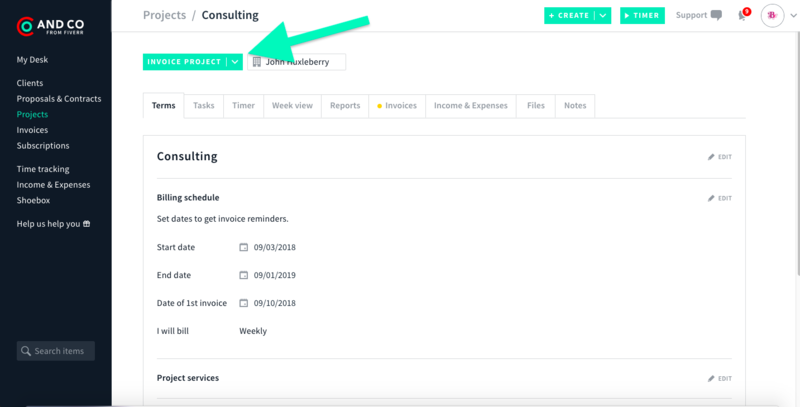 Select "Invoice Project" to reveal additional menu options. 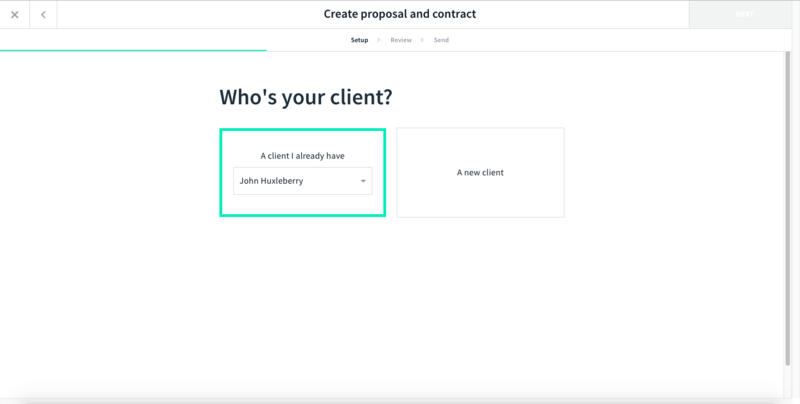 Select "Create Proposal or Contract"
You'll be directed to the Proposal and Contract creation screen. Choose whether you'd like to add a "Contract," "Proposal" or both together. 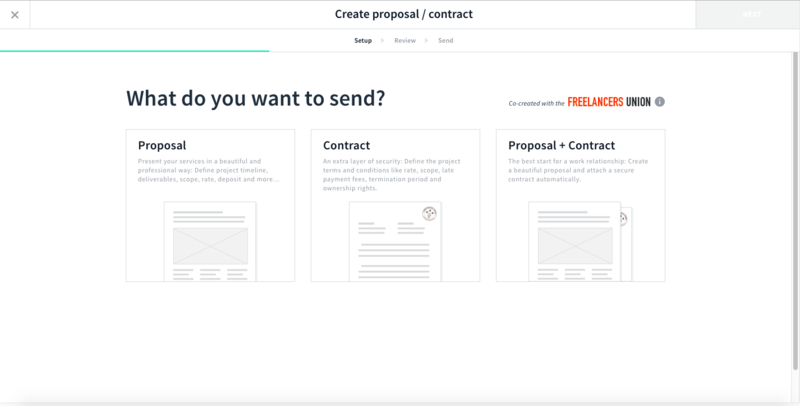 Watch this handy tutorial video for a quick primer on Contracts & Proposals! Confirm the client's name to proceed! You'll see a Proposal all ready to go with the same services and dates as the Project you started with. Note: If you make any changes here, you will also edit your existing Project! Go ahead and click Next to add a Contract if you've chosen to do so. 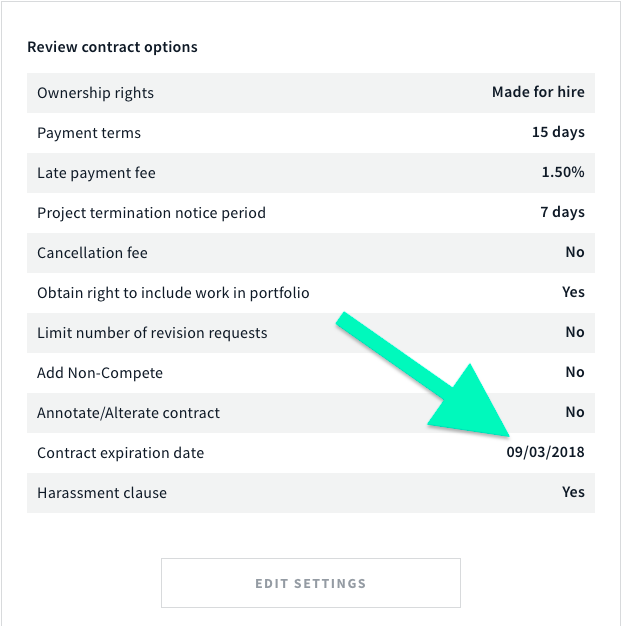 Note: Because the Proposal will start with the same Start and End Dates as the Project, please double-check the expiration date of the Contract before sending to your client. If the Start Date is in the past, the expiration date will be too - and your client will not be able to sign! After your client signs and approves your new Proposal/Contract, the new Proposal and Contract will be attached to the original Project.